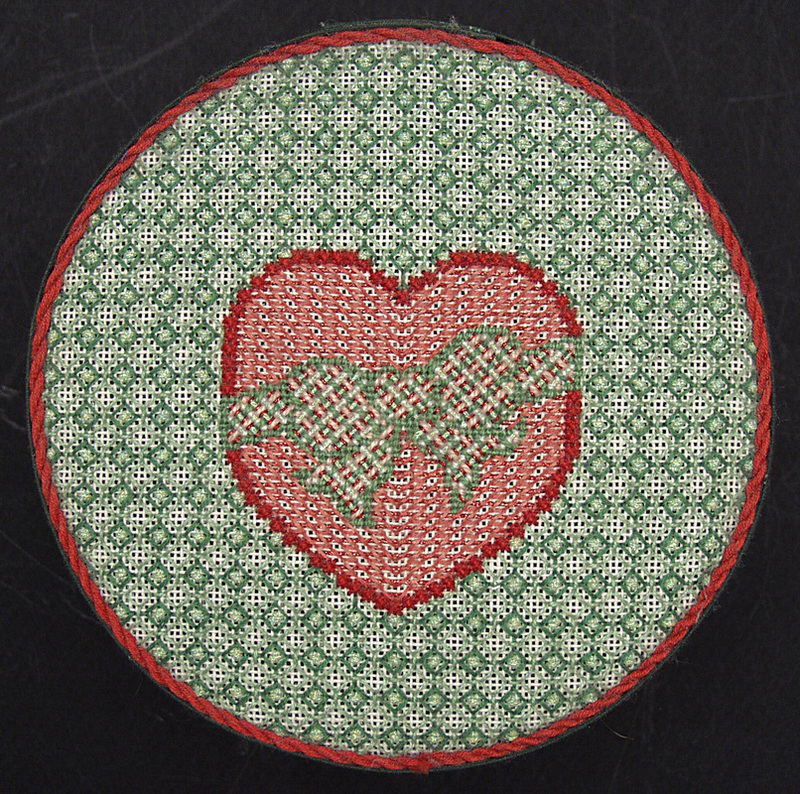 Friendship Heart was originally designed as a section of a friendship sampler. A border was added in layered blackwork to create a small canvas project that introduces students to both couching techniques and some unconventional blackwork treatments that are executed in a reversible or double running method. The original model is finished as an attractive band box covered in a matching calico fabric. Four color combinations are listed inside the booklet, but almost any two-color combination will work if the suggested value contrasts are followed.